ArtistsGuide.Net and Lorenweisman.com will not disclose a user’s personally identifiable information to any third party without the user’s express permission. A user can access our Web sites and utilize many of our services without providing any information at all, nor do we follow a user’s browsing path outside of our Web sites. We do develop summary – not individual – reports in order to better serve our visitors. In accordance with the Children’s Online Privacy Protection Act (COPPA), Lorenweisman.com and the other artists guide websites do not collect or store any personal information, even in aggregate, about children under the age of 13. The information collected when a user signs up for a service can include an e-mail address (which also functions as an account ID in some instances), name, a credit card number for e-commerce transactions and, in the case of hard goods purchases, a billing/shipping address. This transaction information is encrypted and retained in a database, independently of other Web site information. When signing up for a service, a user may also “opt out” of various e-mail notifications or offers (see Opt Out Procedures below). artistsguide.net/, tag2nd.com/, lorenweisman.com/ and other related sites owned by EDYP/LW Group offers interactive polls so users can easily share their opinions with others and see what other Lorenweisman.com users think about important issues. Lorenweisman.com uses a cookie (see more on cookies below) to “tag” users after they have voted, so they can vote only once on a particular question. No personal identifiable information is required to do this “tagging,” and the cookie that is set relates only to that specific poll. A user can electronically forward a news story to someone else by clicking the link at the top and/or bottom of a story. The user must provide a valid e-mail address for both the sender and the recipient in order to ensure that the service functions properly and to inform the recipient who sent the story. There is also an option to include a name which is only used for the e-mail salutation. None of this information is used for any other purpose. Occasionally Lorenweisman.com.com conducts user surveys to better understand our fans and user community. We sometimes share the aggregated demographic information in these surveys with our partners. When we conduct surveys, we may ask for personally identifiable information such as name and specific address. A contest sponsor, if a user expressly asks to receive additional information from the contest sponsor. The contest administrator, if not Lorenweisman.com, and if the user expressly consents. Because the rules and terms of each contest can vary, all information about each contest is clearly posted during the event. ArtistsGuide.Net and Lorenweisman.com does track usage patterns on our sites and breaks down overall usage statistics according to a user’s domain name, browser type, and MIME type by reading this information from the browser string (information contained in every user’s browser). However, we do not match this information with users’ personally identifiable information. Third parties who offer a product or service that we think would be of value to the user. 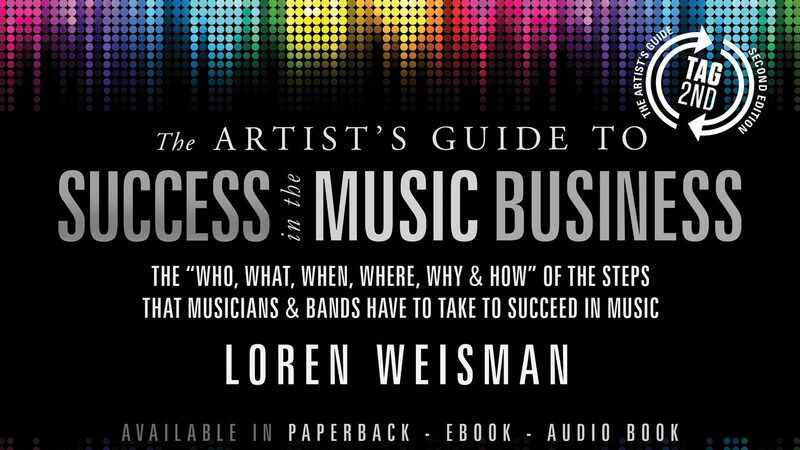 Artists Guide and Lorenweisman.com offers users the ability to change certain personal identifiable information (e-mail address, credit card information and mailing address) collected during the sign up process. Users who wish to change this information, or who have any questions about how our services work can contact us at me -at- lorenweisman.com Please note that other questions cannot be delivered to or forwarded to any intended parties from this address. Please note, also, that our sites do not offer users the means to delete personal identifiable information associated with past use of the Websites’ services.